I want it. I really do. At some point, I wanna tackle that mofo. 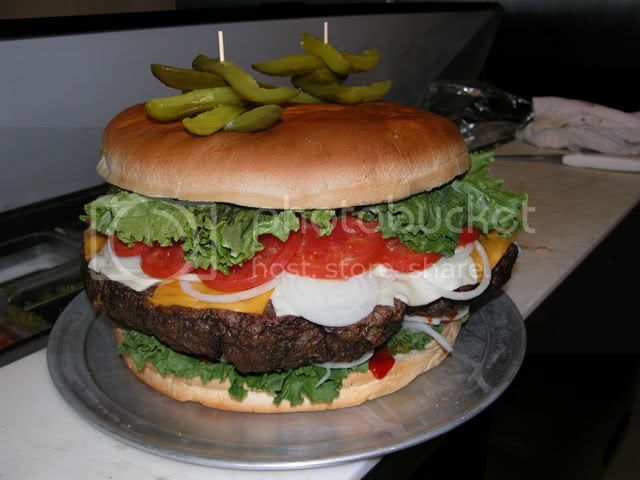 It comes with 10.5 pounds of ground beef, 25 slices of cheese, a head of lettuce, three (whole) tomatoes, two (whole) onions, a cup-and-a-half each of mayonnaise, relish, ketchup, mustard and banana peppers -- and a bun.